Castor oil for hair growth has been also used as the great moisturizer, deep cleanse, and detangle agent. If left untreated, hair loss can become a very serious problem. In case you’ve noticed hair loss on your scalp, you need to take some important steps for hair loss cure. There’s no need to wait until you see bald patches on your scalp. Most of the time, people are late in using certain effective remedies. This is the primary reason why hair loss is quickly becoming a major problem among men and women around the world. There are few home remedies such as castor oil, coconut oil, and other natural oils to achieve unattainable goals of long hair that can be styled in the various pattern. Castor oil for hair growth has long been used for centuries as an ultimate solution for shedding, thinning and brittleness of hair. Moreover, castor oil or “Ricinus communis” has gone unnoticeable for its tonnes of benefits for hair, skin, nail, and metabolism. Application of castor oil for hair growth is quite similar to the coconut oil but castor oil has surpassed all the limits that could not be overcome by coconut oil. Castor oil is composed of natural ingredients such as Vitamin E, Omega-6 & Omega-9 fatty acids, ricinoleic acid, and other minerals. 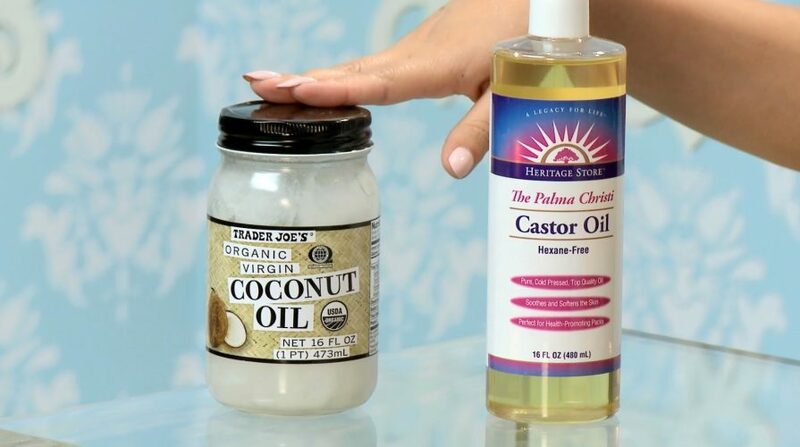 How to use castor oil correctly? If used correctly, castor oil can produce the prolific result for your hair which includes decrease hair fall, thick hair, healthy scalp and stronger hair follicle. The amount of castor oil you use and the reps you perform per week or month matters a lot. Studies suggest using castor oil along 2-3 times per week promote the hair growth while you can use the mixture of castor oil along with other natural oil up to 5 times a week. It is most suitable for the damp or dry hair instead of wet or moisturized hair. Some prefer overnight treatment with castor oil for ultimate hair growth. While few claims 3-5 minutes of massaging and washing it after 15-30 minutes will make the healthier and stronger hair. Reduces DHT levels: Natural ingredients of castor oil not only prevent the hair shedding but also reduces the DHT levels. According to research DHT or Dihydrotestosterone is one of the most common causes of hair loss in men. In order to inhibit the production of an enzyme responsible for converting testosterone into DHT, you can use Propecia. Contrary to the popular belief, testosterone is also present in women. A wide range of natural remedies can also cure hair loss by inhibiting the production of Dihydrotestosterone in your body. Increase Biotin level: Vitamin E and B6 in castor oil won’t only better the biotin infrastructure but also increase the level of the base protein called Keratin. This is a very important substance for nail and hair growth. It does not even have any side effects. Besides this, Biotin also helps improve your blood flow, which in turn is crucial for preventing hair loss. These were only some excellent hair growth tips to cure hair loss including castor oil. If you’re still unclear or not convinced, you should consult a dermatologist when it comes to an external supplement of biotin. Balance the scalp PH: Ricinoleic acid is said to be an agent which controls the scalp PH which in result also helps to undo some of the damage created by harsh chemical product and make the scalp follicle even stronger. The antioxidant and antifungal properties of castor oil not only prevent dandruff but also support the Keratin infrastructure for an ultimate hair growth. Castor oil has very sticky and thick consistency that one may think using it for hair growth won’t be a great deal. But after perusing certain research paper related to the benefits of castor oil for hair and skin it is worth to mention that Castor oil for hair growth cannot be ignored for healthier and stronger hair. There are the precise ways you can apply castor oil for optimum result and precautions needed to be taken seriously. Gather all supplements: having all the prerequisites will be the first auspicious step to apply the castor oil correctly. As castor oil is quite dense, we suggest you to use other natural oils to lighten the Castor oil density. 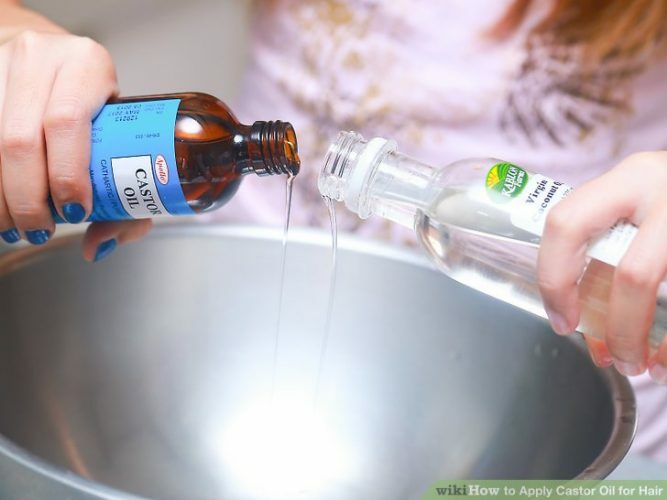 Basically, you will need the bowl, hot water, castor oil, other natural oil, shower cap, jar and old t-shirt to reduce the mess Castor oil will create. 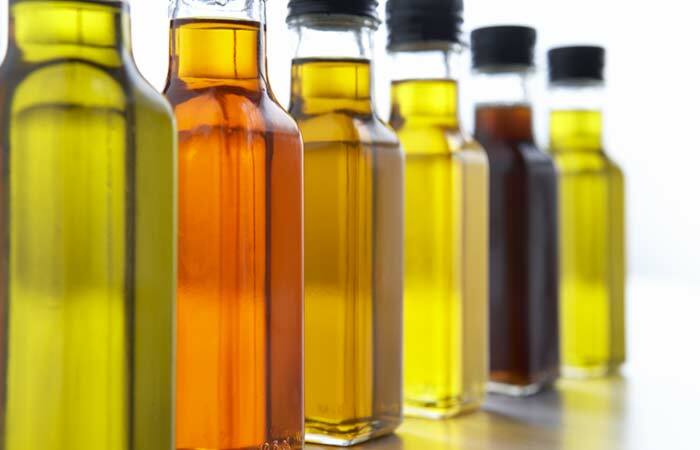 Castor oil along with other natural oil: due to the higher density of Castor oil it is preferable to use castor oil along with other natural oil such as coconut oil, sweet almond, and jojoba. Mix two of them in the right proportion. Heat it up: to perform hot oil treatment, take the hot water into the bowl. Pour the mix of diluted Castor oil in the jar. Now put the jar in the bowl filled with hot water to warm the castor oil up. Like coconut oil, warming up any natural oil will help it to penetrate deep into hair and scalp. Make sure you won’t over heat the castor oil by applying heat directly or heating it up in the microwave. Massage your scalp and work it through hair: like all other natural oils, take some oil in your palm and work it through your hairs from the scalp follicle to the tips of the hair. Massage your scalp for three to five minutes. Make sure you will have the towel or used t-shirt to prevent the mess. One of the most important things to mention here is not to use an excessive castor oil on your head. It won’t make it just hard to oil removal but also increase the hair fall while removing procedure. Give it time: now leave it for 15-30 minutes by covering with the shower cap to lock the moisture in and deep penetration. 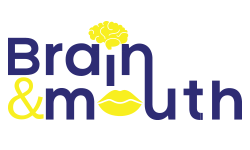 You could also leave it overnight for higher absorption which is quite preferable treatment. Wash it off: because of its higher density, it will be the grueling task to wash the castor oil off. You can use any conditioner before 30 minutes you wash it off. This trick will definitely help otherwise people try to shampoo their hair multiple time. For the god sakes never ever use an excessive amount of castor oil. Types of Castor oil for hair? There are three kinds of Castor oil for hair growth which are quite popular for hair treatment across the globe. Organic castor oil, Jamaican black castor oil, and hydrogenated castor oil respectively. Some prefer to use it along with other natural oils. Jojoba and sweet almond oil with castor oil are quite a popular amalgam for hair growth. Jamaican black castor oil (JBCO) is the special type of castor oil which is extracted from roasted castor seeds instead of natural castor seeds. It has extremely good reviews when it comes to optimum hair growth. 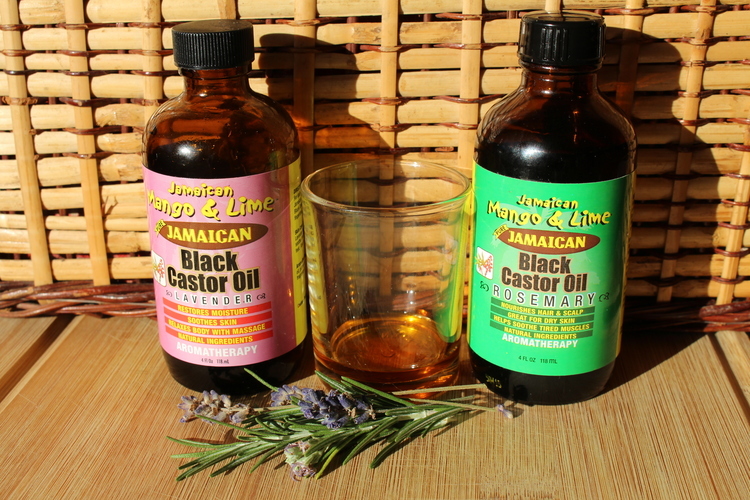 The black color of Jamaican castor oil is due to the ashes of the roasted castor seeds are added to the oil. JBCO is better at penetrating and cleansing the scalp and most of the users are more likely to get benefits from this type of castor oil. 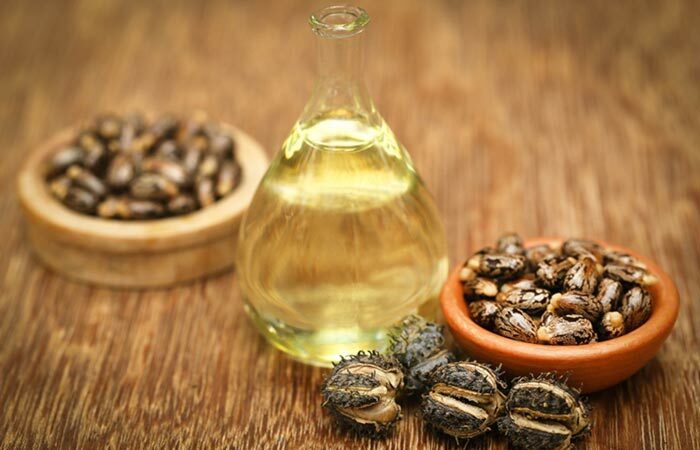 Organic type of Castor oil is directly extracted from the castor seeds without roasting or heating it up like JBCO. To extract the oil from the seeds, mechanical and non-chemical methods are used to ensure the lowers degradation of any of the nutrients present in the seeds. The only difference between the JBCO and organic castor oil is that Organic one is less alkaline. Those who have dry or itchy scalp and curly hair organic castor oil is all in one solution. This type of castor oil normally used in cosmetics products, polishes, and varnishes but not preferable for hair care. Hydrogenated castor oil is produced by hydrogenating the pure castor oil with the help of a catalyst called Nickle. Compared to two other types of castor oil, castor wax is brittle, insoluble on water and odorless. Finding your best castor oil combinations will require plenty of experiments but to make the job easy we have listed few titles you can try by yourself. There are plenty of castor oil for hair growth serum recipe but few of them are mentioned here are quite popular for the most prolific results that make your hair longer and healthier. Sharing the same antibacterial, antioxidant and antiviral properties, this is the most popular homemade hair serum for hair growth. What you all need to do is mix the castor oil and coconut oil in equal proportion and warm it up for maximum penetration in hair and scalp. Rub some mixture between your palms and work it through your hair. You can massage your hair for 3-5 minutes well. After keeping it for 15-30 minutes wash it off otherwise you can go for whole night treatment and wash it off in the morning for the better result. The same way as the mixture of coconut oil you can use certain other natural oils. A mixture of castor oil and other natural oils such as olive oil, peppermint oil, Jojoba oil, avocado, mustard oil, and sweet almond oil are popular as well after coconut oil. Note: all of these oils are used to lighten the density of castor oil and provide few natural ingredients to promote hair growth. Balanced proportion is the must. Rosemary along with castor oil for hair growth is one of the most common home remedies for hair loss and hair thinning. Not only can it eliminate dandruff, it can also help strengthen the roots of your hair. Furthermore, its antioxidant properties can help to stimulate hair growth, while its silica and sulfur content can help reverse the effects of hair loss. To use Rosemary, what you will need to do is combine two drops of rosemary oil with a base oil. Your base oil can Castor oil, so feel free to try each of them. Once you have your concoction, apply it onto your scalp and then massage it carefully. Leave it there for about half an hour before washing it off with shampoo. 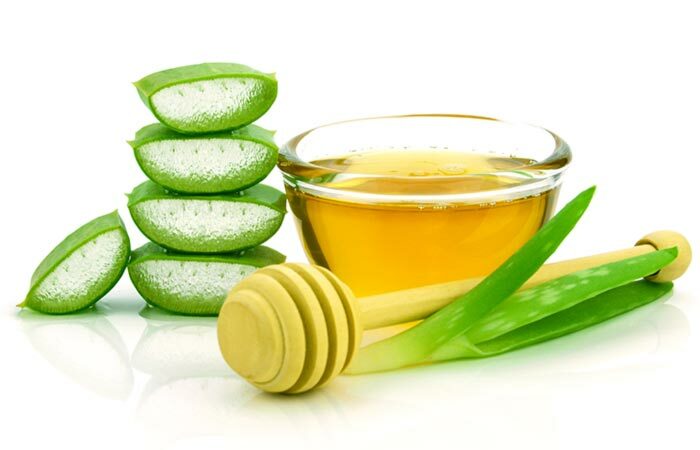 Aloe Vera is already quite popular for its benefits for hair and skin. Natural ingredients in Aloe Vera helps to unclog the hair follicle, control the PH level of the scalp and remove dandruff. Using it along with Castor oil will make the magical solution to promote hair growth. 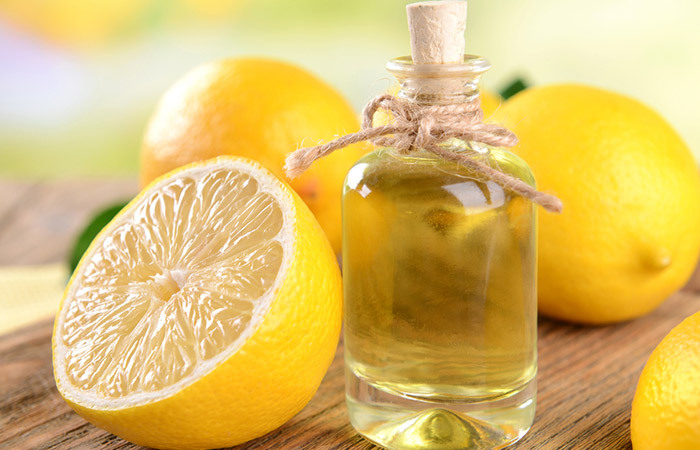 If you want to use lemons to strengthen your hair follicles then here’s what you need to do. First of all, take some natural lemon juice and then some castor oil and mix them together. Once you have this combination, carefully apply them onto your scalp and leave them there for about 30 to 45 minutes. After you’re finished, wash it all off and then shampoo your hair. Repeat this process once or twice a week, and your hair should grow stronger. Hair thinning remedies are simple, but practical cures for hair loss. Although there are certainly many synthetic hair loss drugs out there, most of them are either difficult to procure or too costly to buy. Natural home remedies such as Castor oil for hair growth and hair serum mentioned above are practical alternatives to these kinds of products. 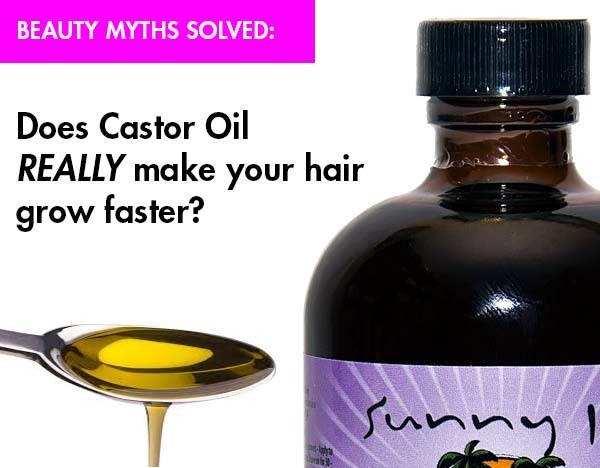 Unlike other natural oil produces the different result for different types of hair, the applicant claims that Castor oils give precise result without any side effects. Moreover, you can try two different of castor oil for multiple benefits for hair growth, skin and nails. Which is why you should try them first before buying expensive hair treatment products.